Millions of people become an identity theft victim each year in the United States. What can you do to keep this from happening to you? There are a number of steps you can take to stay safe, both online and off. One of the most important things you can do is to examine your credit record on a regular basis. Thanks to the Fair Credit Reporting Act, each of the three major credit-reporting companies must give you your credit report annually. 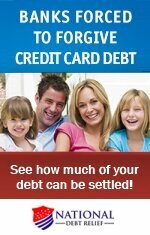 The easiest way to order free credit reports is to go online and visit annualcreditreport.com. You may also call 1-877-322-8228 or request your report by mail at Annual Credit Report Request Service, P.O. Box 105281, Atlanta, GA 30348-5281. If you order your credit report online, either you can request one from each company all at the same time, or you could stagger the reports so that you are checking your credit every four months. For example, ask for your report from Experian in January, your report from Equifax in May, and your report from Transunion in September. That will allow you to check your records over an entire year. Even this can be a trap, as there are many websites out there imitating the official site. So be sure you have typed in the correct website address or URL. 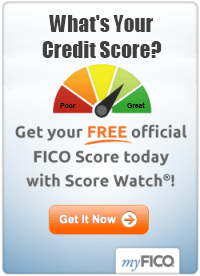 For more information, click here: Learn About Credit Bureaus. Placing alerts with your financial institutions can also help safeguard your information. Many banks will send you emails when transactions take place. This lets you know if someone has accessed your account. Some banks allow you to create a "safe number" with your credit card. This feature creates a new credit card number for every online merchant you visit. This new number, which can have a monetary limit placed on it, links back to your credit card but protects your main credit card number. Essentially this number is only good with a single merchant, so if someone obtains it the number is useless elsewhere. Check with your financial institution to see if this service is available to you. Other things you can do to keep from becoming an identity theft victim include keeping track of your bills and bank statements. If these do not regularly appear in your mailbox or email inbox, you may need to check with your financial institutions to be sure someone hasn't removed items from your post box or illegally accessed your computer files and/or email. You should also shred all of the paper that comes into your home. This includes credit card offers, receipts, magazine invoices, and anything else that might have your address or an account number. Crooks will rummage through the trash to find this information and the ways they can use it are limitless. Being cautious over the telephone is also important. Thieves will call and pretend to be from your bank or credit card company. They may already have your credit card and need that special three-digit code on the back. If anyone asks for that number, you should hang up the phone immediately. Unless you initiate the call, you should be very careful and not give out any information. The same goes for emails that you receive online. Criminals create emails, known as phishing emails, that look like they come from your bank, but if you click on the link, it will take you to a fake website. Once you have given them the information to access your accounts, they can drain your savings and wreck havoc with your personal finances. If you receive suspect emails, you should report these to your financial institution. By being careful with your information, you can keep from being an identity theft victim. Caution is key.